Michael Fassbender is now in Austin, TX for another Ferrari Challenge. And as per this hot pic of him prepping up, he's in fine form. I reckon that the second most favorite thing in Michael's life, after acting, is racing. After all, he admitted he was an adrenaline junkie... but specifically in this case, a posh adrenaline junkie cuz he's a Ferrari boy through and through. Some media outlets are still running the Ibiza in October not such a surprise event story, but there is still nothing official from Michael or his people, and those are the only people I trust in regards to confirming such life changing events in his life, personal or otherwise. Meanwhile extremists on both ends of the fandom have lost the plot and are forgetting that Michael is a fellow human being on this planet and deserves decent respect as he's a good person and deserves a break from meddling intrusions about his personal life. If you've lost respect for me as a long time blogger of Michael Fassbender because of last week's post, that's ok, because I guarantee you that I have been a fan of his much longer than you have, and I will remain a fan of his much longer than you will ever be. I'm here to stay because I first and foremost enjoy Michael Fassbender as an actor. I'm not a fan of his because of who he's dating. His personal life does not have an affect on me, nor should it, but apparently it does for others, and hence, them being upset with me. This too shall pass, and you will go on to another actor who is dating your favorite actress. 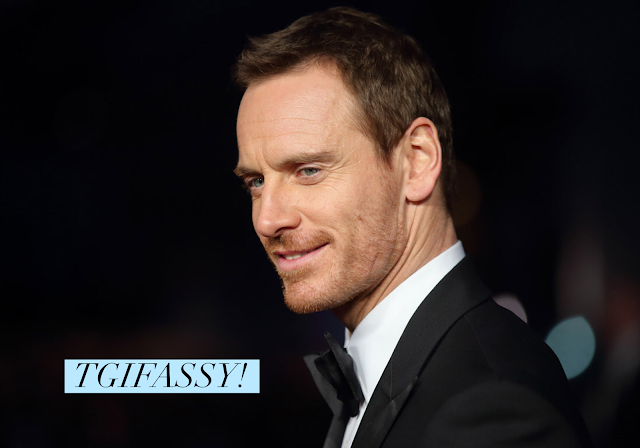 Michael Fassbender is just a temporary flavor of the month for some of you because of who he's dating; and the others temporarily hate him because of who he's dating. Both sides are pathetic and not real fans. Mmmm, not sure about the comment "I guarantee you that I have been a fan of his much longer than you have" as I would humbly point out that a lot of viewers of British terrestrial tv channels since the turn of the century have seen more performances on tv serials than international fans have. I have read so many comments over a long time of appreciating your blog from people who cite such projects as "300" as the start of their interest. I'm just saying that some of us have been on board in the UK since Bones, Hex (2007) and the superlative Devil's Whore (2008) all of which came before "Hunger", also in 2008. Never felt the need to comment before Simone, as I read and appreciate your blog every week, but couldn't let that statement go without commenting that there is a larger body of work than most "fans" realise - and not all of it laudable - "Blood Creek", "Eden Lake" and "Angel" being examples of rather questionable artistic choices to have made.....in short, I know my Fassbender archive and would challenge your rather provocative statement, though I realise it wasn't aimed at the likes of me. @Anne, thank you, I appreciate your kind words of support. @Catherine, surely you realize, as per your final sentence, my comment wasn't directed at the likes of you especially since I don't know you personally. However, I otherwise stand strongly by my words. Of course there are some real fans who have been fans of his longer than me, but they are few and far. The extremely fickle ones have only known of him for several years. The only problem for me, and I imagine for others, will be if he makes good on something he said several months ago. That he wants to stop acting and go into directing. I am going to go on record to say that this would be taking a huge chance and that he has many years still ahead of him as an actor. Perhaps in 20 years or so he could turn to directing, the way Clint Eastwood did but at present he is the only actor who can do any part under the sun and carry it off and it would be a crime if he were to deprive the movie-going public of these performances. Gisa, we still have many films by Michael to look forward to, but yes, I do see him going behind the camera as a director or take on a larger producer role in the future. There was a point in his career that he was gunning for that Oscar in roles that should have given it to him. Being an actor, especially a talented one like Michael is hard, and when you see the dark side of your hobby, it can be soul crushing, and Michael needed to pump the breaks on being a workaholic.